Laduma Ngxokolo is a prominent new designer from Port Elizabeth, South Africa. 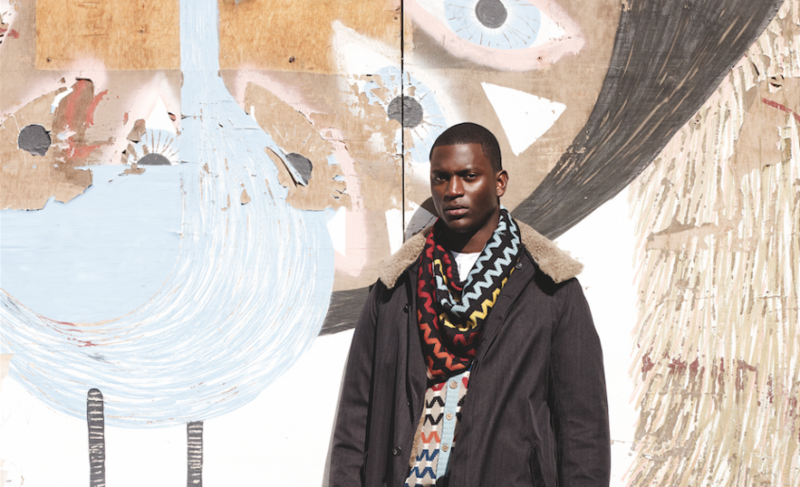 MaXhosa, his brand of men and women’s knitwear made with locally-sourced materials, is showcased at major fashion weeks in the continent and can be purchased at stores in South Africa, Namibia, the UK, France, and the Netherlands. Market projections are positive and so is the feedback from consumers and international actors, including Mercedes Benz and the Norwegian Fashion Institute. 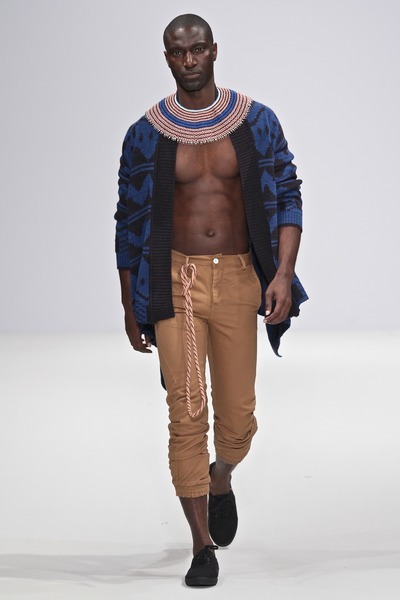 Yet, in 2012 Ngxokolo was struggling to find the resources to produce his first collection and took on an odd job to cover its costs. His journey from amateur designer to successful youngpreneur is representative of the rise of African creatives on the global consumer market and of their contribution to a culture-conscious approach to fashion. As a graduate student in textile technology and self-started creative with a modest background, Ngxokolo had little chance to succeed. The garment industry in South Africa is deteriorating. Port Elizabeth is the continent’s biggest producer of merino wool and Mohair but lacks the infrastructure to streamline production. Therefore raw materials are exported or manufactured locally to be sold in small quantities at curio stores. Dyeing is expensive. Also, South Africans favour international luxury high-quality brands and the market for cultural-conscious garments is non-existent. In fact, ethnic attire is considered backward and ‘old’. 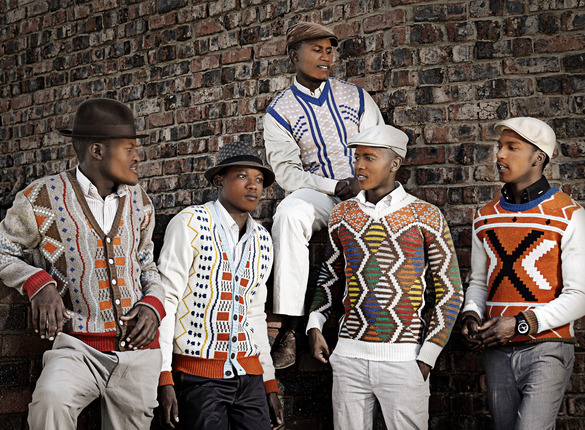 On the other hand, MaXhosa is a heritage brand inspired by Xhosa culture. So what put Ngxokolo on the road to success? In 2010 he won the South African national leg of the South African Society of Dyers and Colourists (SDC) Design Competition with the research project “The Colourful World of the Xhosa Culture”. He was invited to speak at Design Indaba 2011 and earned a trip to London, where he was awarded first prize internationally for the competition. Last year, Ngxokolo received a bursary to enroll in a MA course at Saint Martins College in London. Having made a name for himself in Europe, where he showcased his collection for the first time, he moved back to Africa to work full time on establishing production in Cape Town. 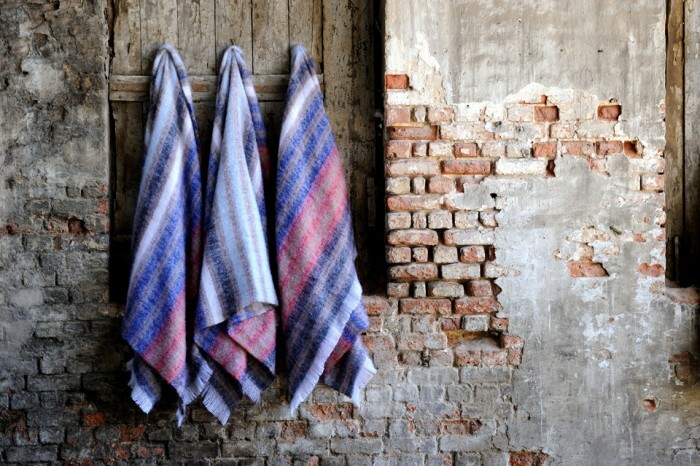 MaXhosa’s range reinvents the Xhosa aesthetic for urban-savvy consumers. Ngxokolo draws inspiration from garments and everyday objects like shawls and sticks featuring intricate beadwork and geometric patterns. Motifs include the diamond, the arrow, the zigzag, in colour combinations of light, medium, and dark hues. The designer states that the palette does not reference the symbolism of different clans, but channels a Xhosa sensibility that reflects individuality and difference. So far, this vision has inspired four collections and several collaborations with international designers, contributing to consolidate a recognizable brand signature that infuses the Afrosartorial signature look of geometric shapes and vibrant colours with ethnic pride. 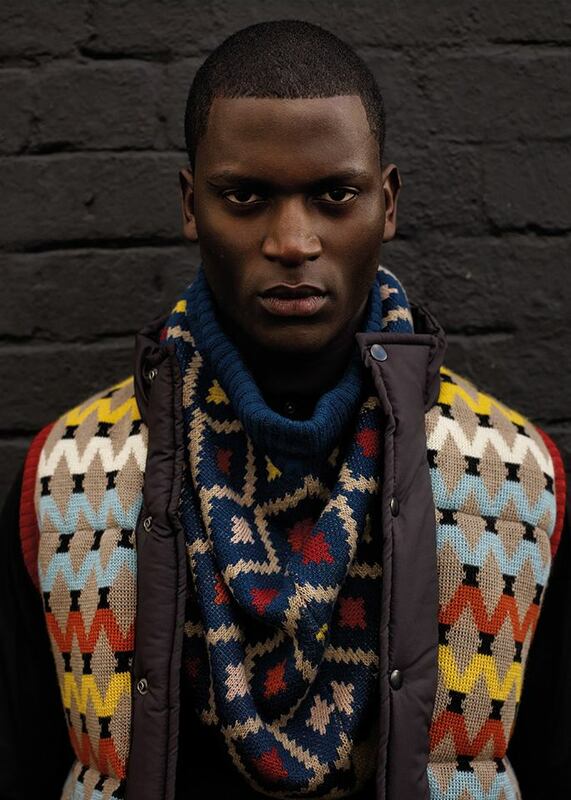 This aesthetic sensibility draws directly on Ngxokolo’s re-discovery of his cultural background. He credits a museum exhibition on Xhosa culture as a major source of design education and his own experience as an Amakrwala initiate as the occasion that propelled his creative vision. Amakrwala are the Xhosa youths, aged 18 to 25 y.o., that undergo the ritual initiation into adulthood. The burning of boy clothes is part of this rite of passage, which is followed by the adoption of a formal and dignified style traditionally consisting of hunter caps and knitwear by premium-quality international brands like Pringle. These new clothes are the youth’s dowry, bought by parents and village members to last in time and ease the financial burdens of marriage. Ngxokolo explains that he and his friends felt the clothes did not reflect their ethnic heritage. 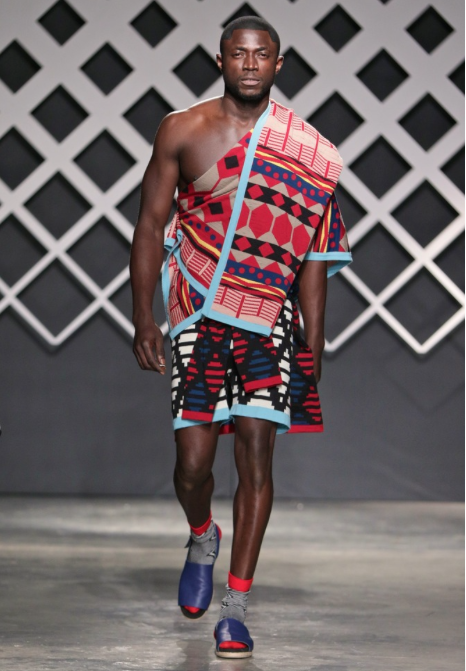 Thus, he designed the “Amakrwala” collection with the goal of delivering a “culturally relevant and authentic” image of Xhosa manhood. Respect of the tradition also drives the creative work. Ngxokolo discovered that digital design is not unlike beadwork, as both practices create a holistic look from assembling tiny units of colour. The choice of top-quality materials such as merino wool and Mohair enhances the longevity of the garments, ensuring that they carry the message of ethnic pride into the future. “You are a product of the ones that lived before you. Be a messenger of your culture and your heritage. I will carry our heritage in the future. And these robes celebrate who I am”. 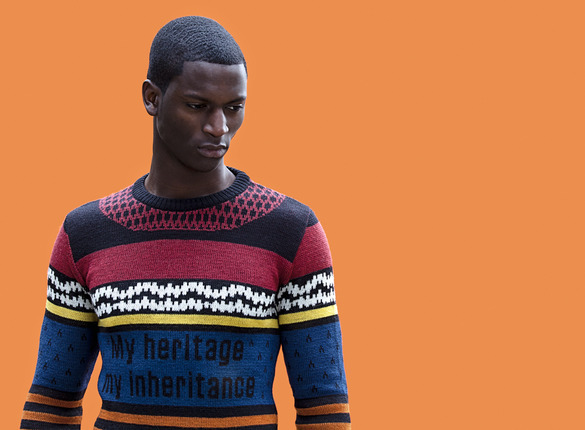 Heritage politics returns in the fashion film “My heritage, my inheritance” (2014), where MaXhosa is again envisioned as a means to insulate ethnic consciousness from empty conformism and globalization. Further, by linking the brand to his personal journey Ngxokolo steps up to represent a generation of creatives who pursue success as a collaborative process rooted in everyday exchanges and customs. He is keen to share his experience and speaks often about it in interviews and at public events (see here, and here). His presentations turn fashion into storytelling and storytelling into a powerful means of cultural replication. Indeed, these insights are the added value of Ngxokolo’s work and an important part of his creative vision. He shares them to consolidate a reciprocal relationship with fellow creatives, customers, and institutions in the design world, at the same time restoring pride in Xhosa culture. Social responsibility inspires his work as he hires local workers and sources wool from Port Elizabeth with the goal to revive the value chain of South African garment production. He even incorporates textual feedback from clients in his presentations to emphasize his pursuit of fashion as a practice rooted in collective experiences. The trial-and-error process he describes affects the design in a positive light since it weaves the affective temporality of the creation process (the doubts, the false steps, the expectations, the enthusiasm that propel the effort) into the garments. The garment is thus marketed as a responsive object that carries a history on its sleeve. Compared with the similar practices of other youngpreneurs like Nest, the Sartists, Anthony Bila, and 2ManySiblings, collaborative, culture-conscious work appears as a constitutive feature of the work of African designers/style experts. This is an important contribution to the study of the Afrosartorial universe that should not be ignored, since it intersects with the aggressive individualism of name-driven brands operating on the continent’s mainstream fashion scene.